Performance Physical Therapy of Idaho is proud to be offering continuation of care and training services through D1 Boise. D1 is the place for the athlete, ages 7 and up. They provide science-based training to achieve peak performance and character building to provide mental toughness and success in life. At d1, the belief is in training the entire body as a unit to produce optimal human performance. There are no gimmicks, and no fads. 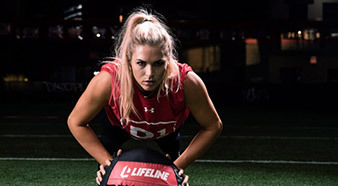 D1 utilizes the trusted and proven training techniques used with the best equipment to build the world’s best athletes. These techniques are delivered in age-appropriate programs led by expert coaches. Every session is carefully planned and follows a strategic 5-8 week training cycle that is designed with the most current, science-backed strategies to achieve your goals. This is a service specifically for patients who are looking for a transition program without needing to leave our Meridian location. Strength: weight-room based training for increased muscle mass. D1’s elite coaching staff have collegiate or professional level backgrounds in baseball, football, soccer, cheer, dance and more! Competition during performance training leads to better performance in competition! Above all, D1 athletes are held accountable to work hard by coaches and other athletes who have like goals. D1’s Scholastic programs are Rookie (ages 7-11), Developmental (ages 12-14), and Prep (ages 15-18) are designed to give athletes the same professional coaching and training environment that collegiate and pro athletes get to take their game to the next level! We begin with foundational movements and progress our athletes over time to improve performance in their respective sports! D1 Rookie creates a foundation in coordination, athleticism, body-weight exercises and proper running technique in a positive environment. 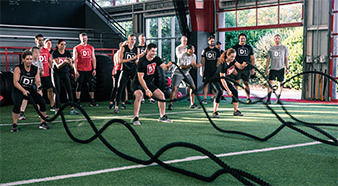 Learning how to train, Rookies build confidence through proper body mechanics, running technique and body-weight exercises in a positive environment. The D1 Developmental Curriculum, adapted for ages 12-14, progresses to more athletic movement with increased emphasis of power and speed, age-appropriate weightlifting, and overall movement quality. 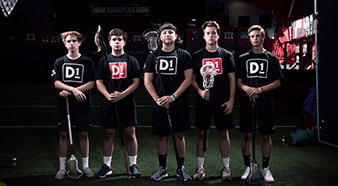 For ages 15-18, the D1 Prep Curriculum develops high-level power and strength utilizing Olympic lifts and advanced speed and agility programming mirroring a Division 1 collegiate program. Are you ready to get your body in optimal physical performance? Contact us today to get started.